Powered by EA Sports Ignite Engine, NBA Live 14 delivers all new visual enhancements and gameplay mechanics to give you a better, more realistic gaming experience. bounceTek allows for organic and free form dribbling so you can be more unpredictable on the court. With the power of Xbox One and EA Sports Ignite Engine you'll see the wrinkle of the uniforms, the expressions of the players and the detail of the arena. Watch the players evolve in game, as they evolve in the real world as stats are downloaded to your console. 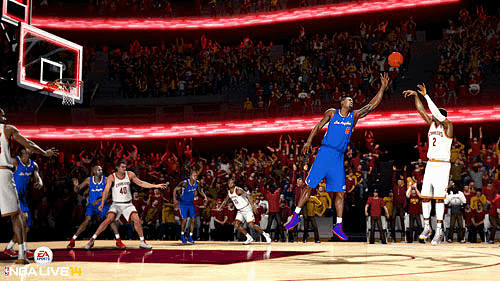 NEXT DEFINITION VISUALS - Combined with 4x the texture resolution, high-fidelity animations and next-generation lighting showcase every detail of all your favorite NBA players, uniforms, and arenas to reveal stunning detail. Every wrinkle, every facial expression, and every drop of sweat will make you feel like you’re courtside. REVOLUTIONIZING THE DRIBBLE - bounceTek – The dribble is fundamental to basketball, but it’s also the unique signature of every NBA star. Whether it’s Rubio’s wrap around or Irving’s devastating hesitation dribble, creativity is at the core of every move. bounceTek unlocks the full potential of the dribble by releasing the ball to physics., allowing for truly organic control. 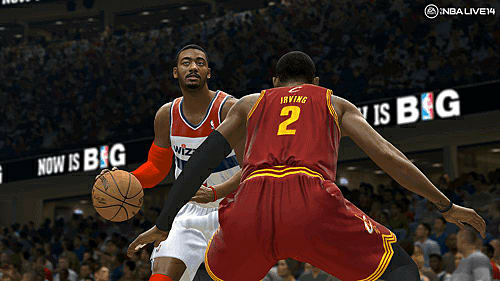 With NBA LIVE 14, one-on-one matchups take on a whole new meaning and finally allow for creativity and self-expression. 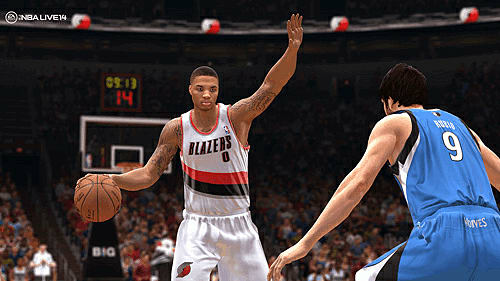 NBA LIVE 14 puts the control back in your hands. 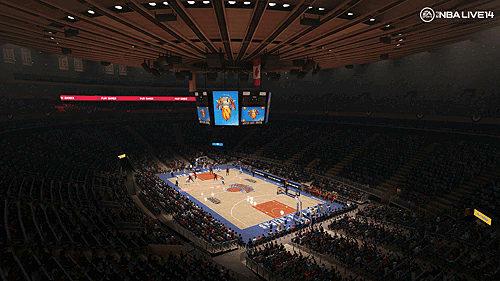 THE REAL-TIME NBA - CourtQ (Court Quotient) – With 15x the memory, CourtQ is the brain of NBA LIVE 14. Over 70 unique statistics and tendencies power every single player on the court, utilizing the same data used by all 30 NBA teams. NBA players evolve throughout the season, and so does CourtQ, downloading updates from every NBA game within 1-hr of the final buzzer. 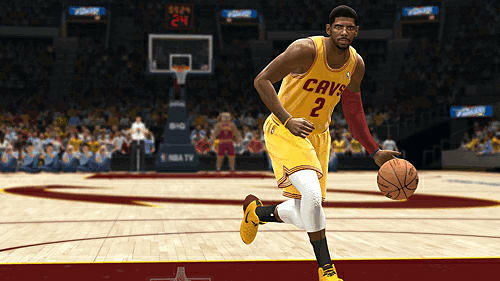 If a breakout star gets hot in the NBA, he’ll be hot in NBA LIVE 14. 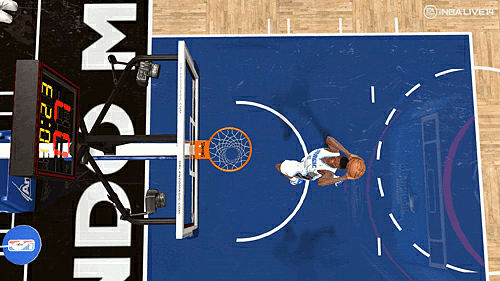 THE GAME THAT’S ALWAYS NEW - LIVE World – With fresh content and challenges on a daily basis, NBA LIVE 14 delivers a new experience each and every time you pick up the controller. More info coming soon!